My name’s Rachel and I’m a 30 Something Mummy from Chester. I have a 6 yr old son and a 12 yr old step-son and myself and the OH welcomed our second child into the world on Valentine’s Day 2019. 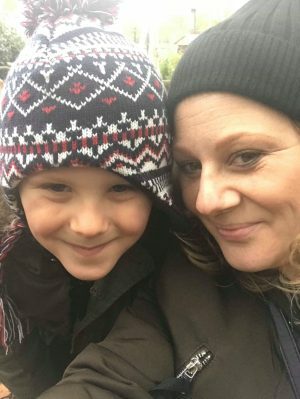 I started this blog back in February 2017 while I was a stay at home mum after years of writing other blogs that just weren’t me, I soon lost interest and then they just disappeared. I can honestly say it may have taken me a while to get here but I’m finally writing about all my passions. Why Natural & Green Beauty?? I was living abroad in Crete, Greece at the time and there wasn’t really much out there so I turned to reading blogs and they pretty much became my window to the UK and what makeup trends were going on and of course what new products were out. Whilst living out there I did dabble in the natural and organic lifestyle. I was taught all about growing your own fruit and veg, what wild plants you could cook and eat, natural remedies and teas all from little old giagia (the Greek word for grandmother). Let’s fast forward 10 years and I came back to the UK going back to my old ways and buying the odd natural and Cruelty Free product without really realising. I’ve always had a passion for writing and over the years I’ve tried and failed at making a blog. I was determined to start a proper blog about my passion for beauty, makeup with a bit of lifestyle thrown in. All was great until I started to notice that my skin was reacting to products I’ve used for years and that’s when I started to look into becoming much more natural and organic, as I started to look into it I realised it was the ingredients of some products that my skin was reacting too. I was shocked to find that there’s so many harsh chemicals and toxins hidden in our everyday products. So during March 2017 I made the switch to go organic and try to find my way into the natural world. I think the biggest learning curve for me is discovering some companies release products that claim to be 100% natural but then when you look at the ingredients it’s full of really nasty chemicals and there’s a small percentage of the natural ingredients hiding in there somewhere and this is really deceitful to the consumer! I’ve been finding out all about Cruelty Free companies that are owned by a parent company that tests on animals, which companies sell products and brands to countries that require by law animal testing (I’m looking at you China!). I want to learn more about our environment and how to become much more eco-friendly and what changes I can make to help. It really is so fascinating, I feel like a child going into a toy shop for the first time!! What’s next from me?? To keep blogging about my experiences and my favourite products, I want to teach myself all about essential oils and the power of plants. What is this blog all about?? Well, I’ll be writing about all my loves in life, Parenting and Family Life – My Pregnancy – Green & Natural Beauty – Lifestyle with of course reviews thrown in for good measure.